Our massage therapists are trained in the traditional Chinese acupressure massage as a treatment for muscle tension and pain. Acupressure is a from of traditional Chinese medicine that harmonizes the flow of “qi” or “life force” in the body in order to achieve balance within. Pain and chronic illness can stem from an imbalance in the flow of qi. The ancient techniques of acupressure massage therapy allow our therapists to use massage to apply pressure to certain acupoints or pressure points along specific meridians/channels of your body where this vital energy flows. The therapist will use the palms, fingers, and elbows to press on these channels of energy to balance the flow of qi in your body. Unrestricted flow of qi allows the body’s natural energy to be restored and healing to begin, creating balance, harmony and relief of pain. 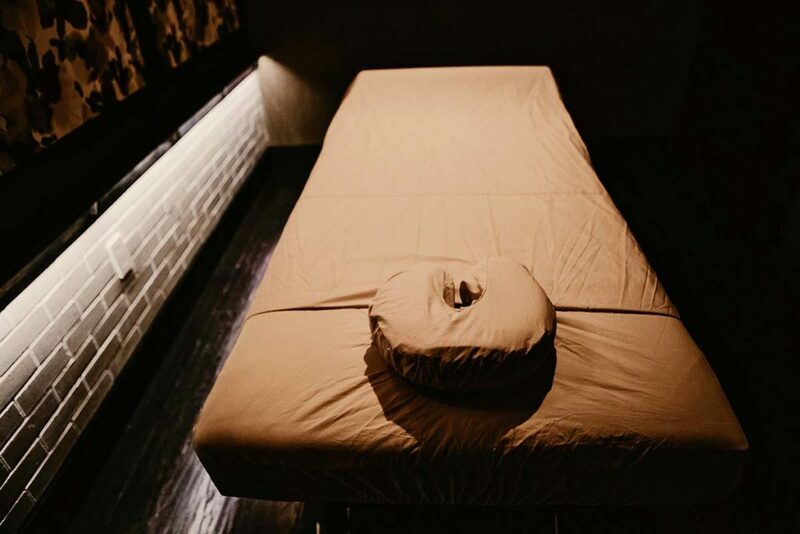 “I called late Saturday afternoon and they were able to accommodate my timing and was able to schedule me for a one hour body massage ( I got the acupressure option). I was running late (almost by 20min) and they were still willing to take me in. By applying pressure to certain meridians, Chinese acupressure massage aids in the relief of pain, stress and illness correlating to that meridian. Studies show that the use of acupressure is effective to prevent and treat nausea related to pregnancy, motion sickness and even the side effects of chemotherapy. Acupressure massage therapy is also commonly used to help reduce stress, improve energy levels, and relieve both head and back pain. Since these ancient techniques are known to release endorphins, sufferers of arthritis find relief from the anti-inflammatory effects of such a release. Acupressure massage focuses on allowing the free flow of qi within your body and will aid in overall well being of the mind, body and spirit in addition to fostering pain relief. Just as the names of these two techniques indicate a similarity, the fundamental premise of the treatments are similar as well. The key difference is that although both focus on the same energy meridians and acupoints, acupuncture uses the application of needles to release the flow of qi, whereas acupressure uses massage techniques to aid in the release. Acupressure focuses on applying gentle pressure to release blockages in the body’s energy flow by stimulating the energy meridians through massage. Treat Your Feet’s acupressure massage therapists are some of the best in Atlanta. They are trained and experienced in using these techniques to address a wide variety of health issues, as well as overall balance and harmony.